Loved by Popeye, hated by most children, spinach is most definitely an acquired taste. Personally, I love it served freshly boiled. Why, because it brings out a delicious milkiness to its flavour, a quality that is perfectly utilised in the creation of eggs Florentine - one of my favorite dishes! 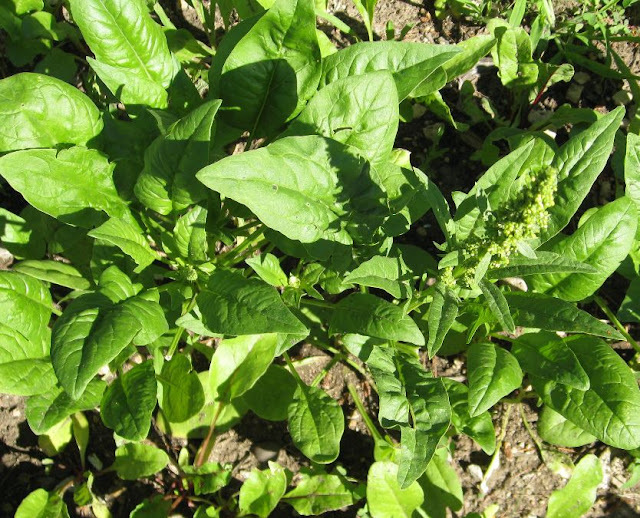 Be aware that spinach needs cool weather to thrive, but if you choose your planting times carefully and look for heat-resistant varieties, you can grow it anywhere in the country. If you can, try and choose a site that gets full sun in cool weather and partial shade in warmer temperatures. Your soil should be light, fertile and moisture-retentive, with a pH of between 6.0 and 7.0. Dig in plenty of well rotted farm manures - a task preferably done late autumn - as this will help to ensure good soil conditions and to provide the nitrogen necessary for good leaf production. Sowing spinach seeds directly into the garden as soon as the ground can be worked is the best way to produce a decent spinach crop. This can be done, normally anywhere from four to eight weeks before the last expected frost. Be aware that spinach seedlings do not transplant well so there is no real advantage to buying plants or to starting seed off early indoors. Plant spinach seeds 1/2 inch deep and 2 inches apart in wide rows. To maintain a continuous harvest, sow every two weeks until daytime temperatures start to average 75 degrees F. You can begin sowing for autumn crops mid-August in cool climates, later in warm ones. Thin out spinach seedlings to 6 inches apart when the plants are 4 inches tall. You will need to be ruthless though as crowded plants are more likely to bolt (go to seed prematurely), and you can use the cuts in salads. 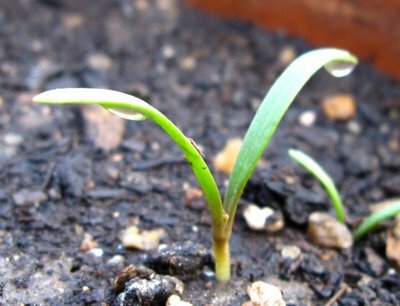 Keep the soil moist, and feed the plants a liquid fertiliser every 10 days until they're about 6 inches tall. Mulch established plants to help conserve moisture and deter weeds, and cover the area with floating row covers to discourage insects. Cut spinach leaves as you need them from the outside of the plant, or harvest entire plants when they reach maturity and before they begin to flower. If you see buds starting to form at the center, you can cut the whole plant immediately as the energy of the plant will now be diverted into producing flowers and seed.